Create an easy Wow! card with the Marbled Background! Just ink and stamp! Flip the pearlized doilies over and color them with any color ink you want using a sponge dauber! 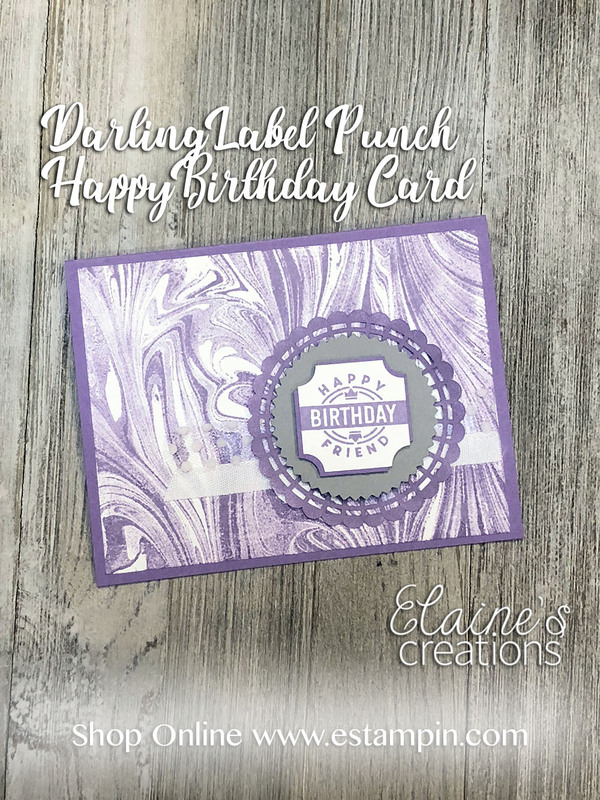 Create a layered look with the Darling Label punch by cutting the punch in half diagonally and then layering behind your label punch! Order your Darling Label Punch Box today! You won't regret it! Click on the pictures below to order the supplies used to create this card! Use hostess code FU7SPSYD and you'll receive a free gift in the mail from me!